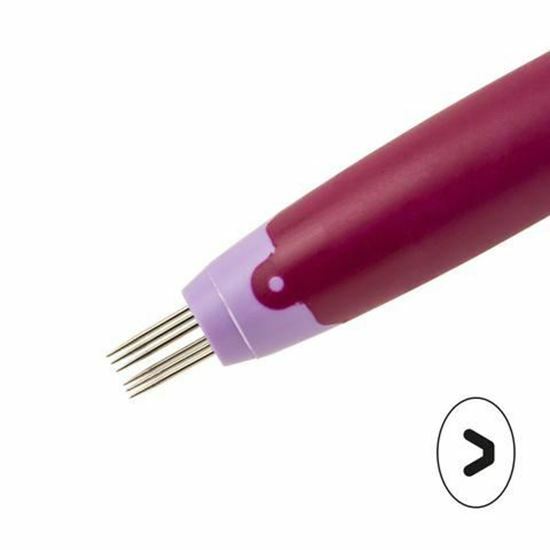 Small Picot V - Pergamano Perforating Tool The Picot V (Large) perforating tool has 6 needles in the shape of a straight angle, which creates many possibilities. This will give you a proper point at the tip when you picot cut. This perforating tool is made from a flexible, yet durable material, which boasts a specially developed dirt repellent rubber, for a soft yet firm grip. In addition, the weight and ergonomic design ensures an ideal distribution of pressure during perforating. 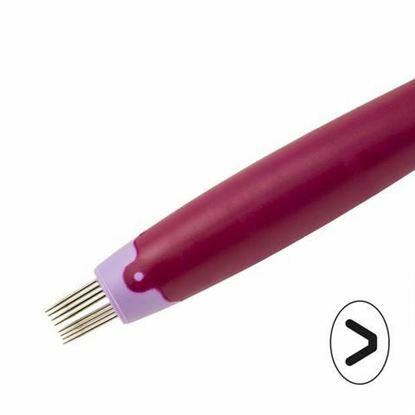 Medium Picot V - Pergamano Perforating Tool The Picot V (Large) perforating tool has 8 needles in the shape of a straight angle, which creates many possibilities. This will give you a proper point at the tip when you picot cut. This perforating tool is made from a flexible, yet durable material, which boasts a specially developed dirt repellent rubber, for a soft yet firm grip. In addition, the weight and ergonomic design ensures an ideal distribution of pressure during perforating. 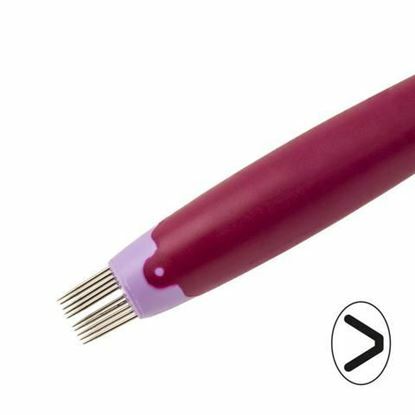 Large Picot V - Pergamano Perforating Tool The Picot V (Large) perforating tool has 10 needles in the shape of a straight angle, which creates many possibilities. This will give you a proper point at the tip when you picot cut. This perforating tool is made from a flexible, yet durable material, which boasts a specially developed dirt repellent rubber, for a soft yet firm grip. In addition, the weight and ergonomic design ensures an ideal distribution of pressure during perforating.